Book two in the New York Saints Series follows Doctor Lucas Angelo; one of the three friends that banned together to buy a struggling baseball team, the New York Saints. 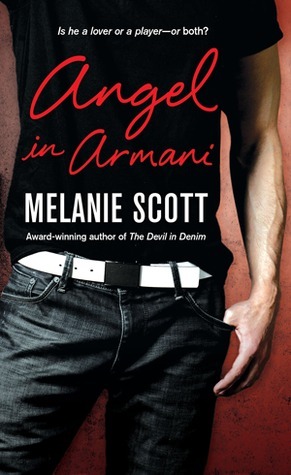 Lucas Angelo is terrified of flying, but with his demanding career, this doctor has to get over his fear; of all the pilots he's had chauffeur him, Sara Charles is his favorite, she's quiet and doesn't try to impress him with any fancy air tricks. Sara Charles wants one thing only, to save her father's company, so noticing how hot or not a client is a big no; she's there to fly and nothing else. When a freak storm leaves these two temporarily stranded they decide to temporarily act on their mutual attraction. From there the story takes flight. The story was descent, Sara often got on my nerves with how she was so hot and cold with Angelo, however, she's forgiven because when you look at it from her perspective, realistically how often does the Cinderella end up with Prince Charming. Angelo was was a good character in how he constantly goes for what he wants and works at it. My only problem with this story really was the ending; it felt so rushed, like the author had no idea how to end the story she just went "what the hell, here's the end."